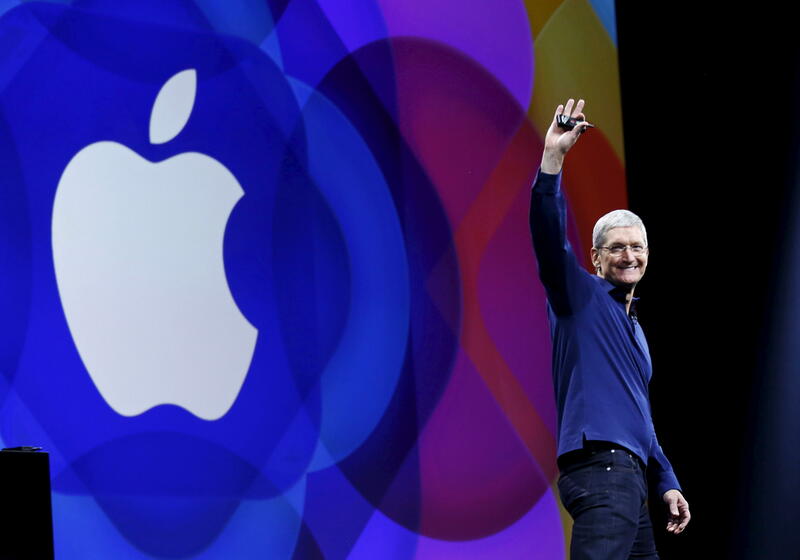 Apple under Tim Cook: A nicer company, but a better one? My, how things haven’t changed. Five years ago, Tim Cook officially took over as CEO of Apple amid questions about his ability to live up to the legacy of Steve Jobs. This week, as Cook celebrates his fifth anniversary as head of the company (the exact date is Wednesday), questions continue to swirl. Was he right? Cook’s track record leaves you scratching your head. Yes, Cook has had some big wins. The larger iPhone 6, for instance, propelled Apple to record profits. The company is also more vocal about causes like the environment and gay rights. But there have been some misses. It remains to be seen whether the Apple Watch eventually turns out to be a hit. Also, have you tried Apple Music? What Cook has primarily done is make refinements to products and services, such as Apple TV and the iPad. Though the tweaks are appreciated, the company hasn’t exactly broken new ground. Below, CNET looks at some of Cook’s moves during the last half decade. We also ponder what he needs to do to keep Apple on top during the next five years. Apple didn’t make Cook available for comment to CNET. Cook’s biggest success has been expanding the iPhone lineup. The company now offers three new iPhones each year: the 4.7-inch iPhone, the 5.5-inch Plus, and the 4-inch SE​. Getting into bigger devices with the iPhone 6 in 2014 helped Apple become the most profitable company in the world. And inking a deal with China Mobile, the world’s biggest carrier, gave Apple wider access to the most populated country in the world. Next up for Cook is India, another potentially huge market. Cook has pushed Apple into new services, including Apple Pay for mobile payments and the Apple Music​ streaming service. Apple now makes more money from services like the App Store than it does from its Mac computer line, and it expects its services business to be the size of a Fortune 100 company next year. Apple has gotten more active in social causes. Cook came out as gay in October 2014, giving a boost to the lesbian, gay, bisexual and transgender movement, and he’s pushed for more diversity at the company. Cook has been a proponent for social justice and has made Apple more charitable, eschewing Jobs’ belief that the company didn’t need to donate money because it paid enough in taxes. Apple has also moved to make itself “greener,” with the goal of running all its operations on renewable energy (it hit 93 percent in 2015). During a shareholder meeting in 2014, Cook told a conservative finance group that Apple doesn’t “consider the bloody [return on investment]” when it comes to things like accessibility, environmental issues and worker safety. “We want to leave the world better than we found it,” he said. Cook also took a stand against the FBI​, positioning Apple as the tech company that cares most about user privacy and security (that battle likely isn’t over yet). Cook’s biggest strength is also his worst liability. More than two-thirds of Apple’s sales are now tied to the iPhone​. It wouldn’t be pretty if an iPhone ever whiffed. This year, Apple’s overall sales should dip as iPhone sales decline for the first time ever. Cook, speaking with The Washington Post earlier this month, said having so much of Apple’s business tied to the iPhone “is actually a privilege, not a problem” and that eventually, everyone in the world will have a phone. Whether everyone in the world can afford an iPhone is a big question. Apple still doesn’t really have a great budget option. The colorful, plastic iPhone 5C​ from late 2013 flopped, and the iPhone SE, introduced in March, starts at $399, pricier than many Android alternatives. Then there are the questionable bets. Cook spent $3 billion to buy Beats and its flashy management team in mid-2014. It took the group a year to release Apple Music, the company’s first streaming-music service, a business Jobs had long resisted. “They got it wrong and are tinkering after the fact to fix what’s wrong,” Jackdaw Research analyst Jan Dawson said. Another product that will need tinkering is the Apple Watch​. The company introduced the wearable -- its first new device under Cook -- to much fanfare in late 2014. It’s one of the top-selling wearables on the market after the Fitbit, but sales are nowhere near the level of the iPhone. Apple doesn’t break out Apple Watch sales, but analysts from IDC estimate Apple shipped 1.6 million Apple Watches in the second quarter, down 55 percent from a year ago. And of course, remember the Apple Maps disaster? On its 2014 release, the product was so full of errors that Cook issued a public apology, and even pointed customers to rival products while Apple worked to clean up the bugs. Apple​ has reportedly been working on wholly new products and areas -- cars, virtual reality, health care and smart home gear -- but it hasn’t made any big, public moves. Software is the thing that will be vital to Apple’s future. One of the main tasks for Cook and his team will be making voice assistant Siri and the iPhone smarter. The device will need to predict what you want before you even ask for it, utilizing artificial intelligence to make itself indispensable. Still, Apple’s software and services exist largely to get people to buy its gadgets. That means Apple can’t ignore hardware. The design of the iPhone hasn’t changed much since the company introduced the device in 2007. Apple’s success over the next five years could depend a lot on how it shakes up products like the iPhone and the iPad. Jobs​ wouldn’t want it any other way. This article originally appeared on CNET.com.